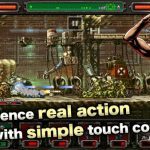 Metal Slug Attack is a “Metal Slug Series 20th Anniversary Official Title” for Android and iOS, courtesy of SNK Playmore for mobile devices. 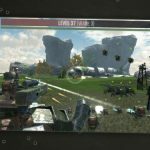 This is the follow-up to Metal Slug Defense, which comes with “numerous improvements” such as a simplified control system, a wide range of missions to take on, and much more. 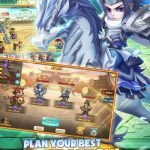 This is a tower defense game where you can collect items across different missions, customize, equip, and upgrade your units, and take part in battles against players from all over the world. You can also take part in co-op missions in the Guild Raid and Special Ops game modes. As you continue playing this tower defense / action title, you’ll be able to thoroughly upgrade your units and defeat in-game enemies from several parts of the world, including the Middle East and Vietnam. But before you go on to more challenging things, you’ll need to start out with the basics, and that’s what we shall be talking about in this list of Metal Slug Attack tips and tricks for beginners. When fighting battles in Metal Slug Attack, you should always have double speed turned on, so as to make the game go faster. Auto battle, on the other hand, is good mostly when you’re grinding, or repeating a battle you’ve already completed. You can also use it in easier battles you’re confident of winning, but you definitely do not want auto battle on when you’re in a tougher battle. Remember, the game’s AI is not as sophisticated as human-controlled strategy. Any time you don’t know what to do next in the game, you may want to head to the quest and daily screens. Daily events are limited-time missions that could earn you some big rewards right then and there, while the actual quests are longer, more drawn-out missions that take a while to complete, but eventually earn you a whole lot of coins, XP, and treasure once you’ve finally completed them. This generally applies to the easier battles, but you should generally save your stamina by using the lowest possible defense for that situation. This may not sound too prudent, considering the importance of defense in a tower defense-based game, but the idea here is not overexerting on defense. Keep on doing this until you’re able to unleash heavier attacks and take out your enemies quicker. Whenever you’re asked if you want to draw a new character piece or item, then go ahead and do it. Usually, it’s going to be one of those items mentioned, though at times, you may get a new character in full. Add these new characters to your team for the simple reason that your stamina improvements will outweigh character cool-down times once your support has been upgraded sufficiently. If your characters don’t have what it takes to win the next battle, you can power up your characters in the Build Up screen. That screen allows you to equip your characters with skills, and pay MSP for higher experience levels. Both substantially increase your characters’ stats, with higher increases coming with higher levels. 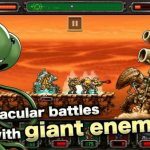 These would be our tips and hints for SNK Playmore’s mobile game, Metal Slug Attack. Stay tuned, as we may update this guide with more tips and tricks in the near future!